Visit our Rules & Regs page for the details on entering our Fair Queen & Princess Contests for 2019. Check out other updated rules. More coming soon! 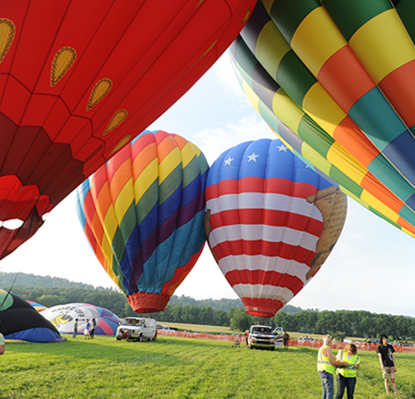 In 2001 the Warren County Farmers' Fair decided to add a Hot Air Balloon Festival. What better way to appreciate the beauty of Warren County than from the air? Mass Balloon launches are each evening around 6:30 pm, weather permitting. 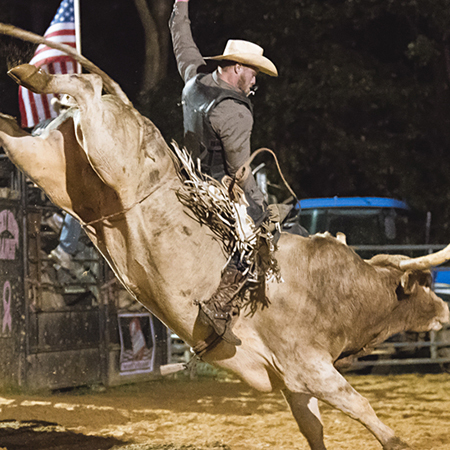 Get your advance tickets now for the Main Arena Shows, including the all-new Rafter Z Rodeo Bull Riding and Barrel Racing Show. 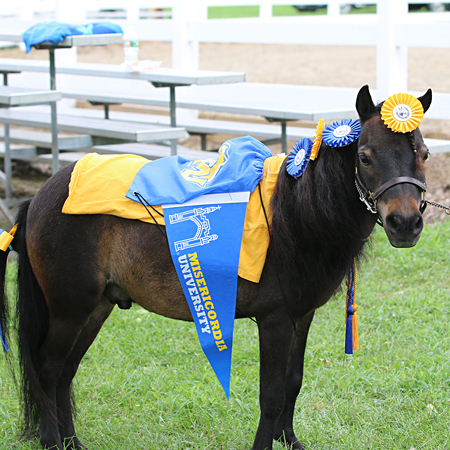 Opening Day Saturday kicks off with the Miniature Horse Show. All the details can be found by clicking here. Sunday is the Open Pleasure Horse Show. All the details can be found by clicking here. 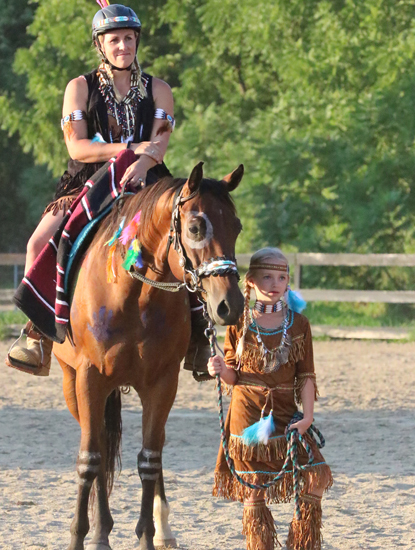 For a full schedule of Equestrian Events, click here. Visit our Rules and Regs page, where you will find over 60 different contests to compete in, with multiple divisions and categories. There is plenty of opportunities to be more than just a spectator at the Fair. Compete for trophies, cash or just for bragging rights. If you can sing, sew or drive tractor, cook great BBQ Ribs, have a cool car or garden to boast about, there may be a contest for you. Be sure to check out the rules & regs to see if you are eligible to participate, as some are restricted to Warren County residents and some are open to anyone. Some contests require pre-registration. All the details can be found by clicking here. Flip Through Our Program Book and Plan Your Visit! Never visited? Our 2018 Program Book will be a good introduction to the Fair. Then mark your calendar for 2019 and check back as we continue to update the website with new shows and details. 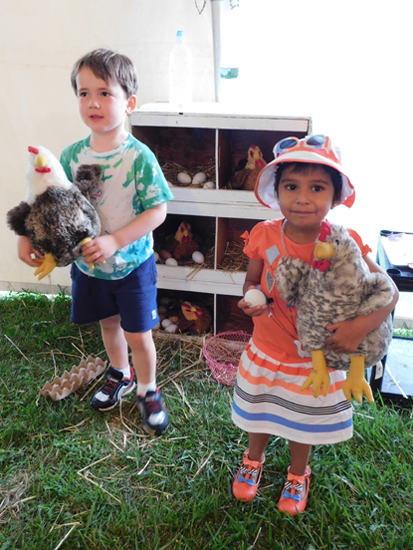 There is so much to see and do at the Warren County Farmers' Fair. Don't miss any bit of it. Download or flip through the 64 page Program Book online. On a desktop device? Click here to flip through our Program Book online. On a mobile device? Click here to access the PDF of the Program Book. One of the best things at the Fair is all the value-added events during the week! Enjoy the mass balloon launches each evening. Visit the Kids Corral where all shows and activities are free of charge for fairgoers. Enjoy the Garden and Antique Tractor Pulls and ATV Mud bog, for free, in the Main arena. And this year we have some great, free, country concerts throughout the week. That is just to name a few free things to see and do at the Fair. For a complete list check out our Schedule of Events here. Where Kids Rule And You Won't Break The Bank. 4H & FFAs. Exhibits & Shows. Plan Your Visit. Scheduled Events. 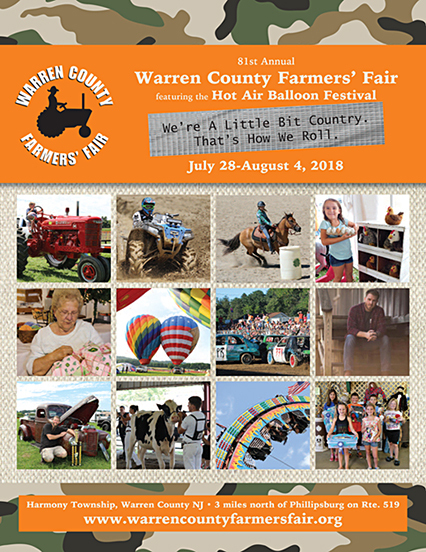 There is plenty to do at the Warren County Farmers' Fair and Balloon Festival. 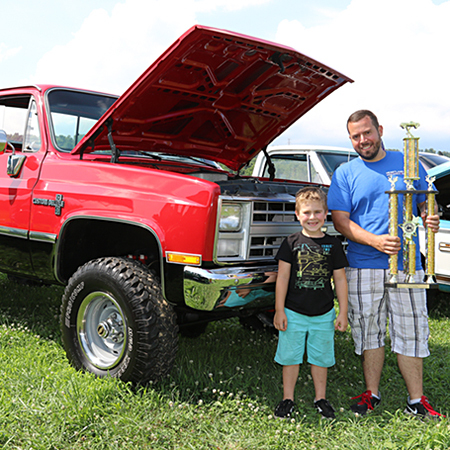 Carnival Rides, Traditional Arts, Contests and Competitions, Cars, Trucks, Tractors and more. Check out our Schedule of Events. © 2018 Warren County Farmers' Fair Assoc.